So, when I got the chance to try the Zola coconut water I jumped on it – maybe this would be the winner! I came home from work one day to a package on my steps – always an exciting event! Opened it up to find some goodies from Zola. A can of coconut water, a can of coconut water with pulp(?) and a bottle of Acai juice! And – bonus! 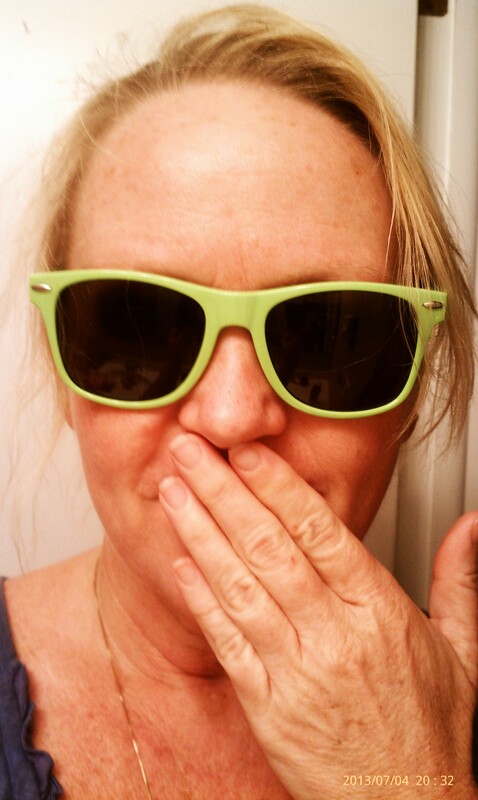 – a pair of cool green sunglasses!! I put the water and juice in the fridge and the sunglasses on my face! One of the big benefits of coconut water is that it is a great hydration product AND it contains almost as much potassium as a banana – could this be just what I need?! Flash forward a week or so and I came home from Bikram thinking this would be the PERFECT time to give my Zola a taste test! So I pulled out the non-pulp can and poured it out. Next up was the juice – I’ve never tried Acai juice before so had no expectations one way or another. I don’t drink a lot of juice since it doesn’t go well with diabetes, but I could definitely see adding this to my diet. It wasn’t at all what I expected – I was thinking it would be tart like cranberry juice but it was really smooth! Tasty!! Zola Acai Juice — you should put this in your belly! Finally, after an early morning Bikram class I gave the coconut water with pulp a shot! Eh. I’m not a pulp fan so this didn’t do anything for me. But I bet it would be good in a smoothie or …I don’t know, maybe make oatmeal with it? My conclusion is that I may not be a coconut water person – at least not as a regular form of hydration/re-hydration. 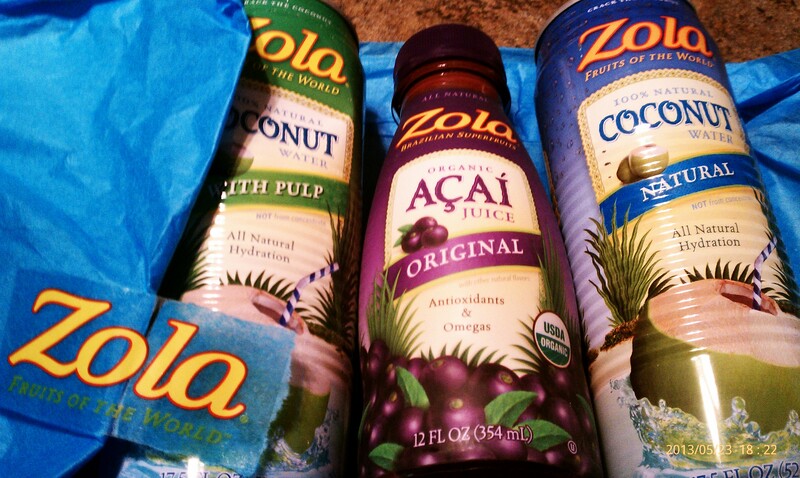 But of all the coconut waters I’ve tried, Zola is one I would definitely drink again. And I bet it would be useful in a smoothie or something? But that Acai juice? Oh yeah – I’m a HUGE fan!! You can use their Store Locator to find your nearest retailer, or you can buy it right online at their Website! ← The Week With Two Fridays! My husband and I were just talking about trying coconut water. I’m going to see if I can find Zola at Whole Foods this weekend.